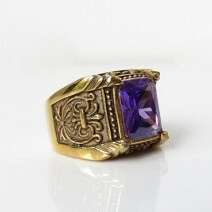 A gothic Amethyst ring with a quartz birthstone centre. 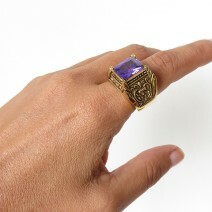 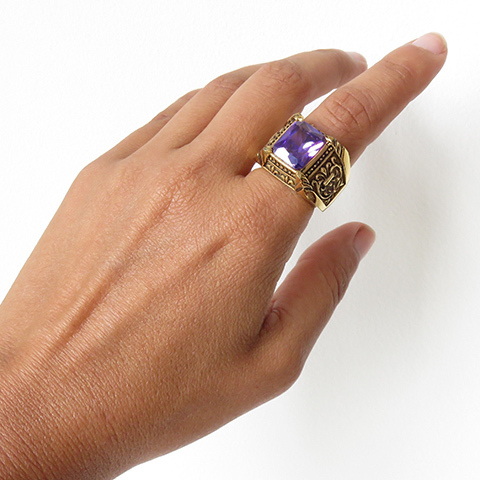 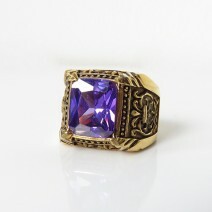 This chunky medieval Amethyst ring is crafted in brass and is the perfect alternative jewellery ring to compliment your dark outfit. 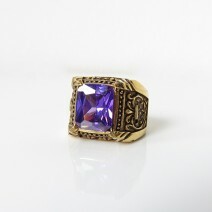 Delivered in a black drawstring bag.